Some studies suggest that EFA supplementation may help with anxiety, particularly when the anxiety sufferer is also depressed. Dr. Barry Sears (2012) notes that cellular inflammation in the brain triggers a signaling breakdown among brain cells that may contribute to anxiety and depression. Inflammation can be caused by increased arachidonic acid (AA), an omega-6 fatty acid. This problem can be countered by ensuring that the brain receives adequate omega-3 fatty acids, which have an anti-inflammatory effect. Reducing inflammation in the body is worthwhile even for those who don’t suffer from anxiety. Getting sufficient omega-3s reduces the risk of cancer, heart disease, and arthritis, and may improve performance, memory, and other aspects of brain function (University of Maryland Medical Center, 2011). Signs of omega-3 deficiency include poor memory, bad circulation, fatigue, heart problems, dry skin, and mood swings or depression (University of Maryland Medical Center, 2011). In addition to reducing the risk of suffering from these problems, a number of studies have found that EFA supplementation may provide anti-anxiety benefits as well. A recent Ohio State University (2011) study found that consuming essential fatty acids via fish oil reduced anxiety among medical students. The healthy young subjects taking omega-3 supplements enjoyed a 20% reduction in their anxiety levels compared to the placebo group. A study of anxiety in substance abusers found that supplementing with EPA (an omega-3 fatty acid) significantly reduced anxiety compared to a placebo. Other studies have found that when depressed or anxious people supplement with EPA, their moods often improve and they become more resilient to stress (Sears, 2012). Although some studies have shown EFA supplementation to be beneficial for depression (which often accompanies anxiety), others have found no significant effects, so more research is required to draw conclusions (University of Maryland Medical Center, 2011). Modern diets tend to be overabundant in omega-6s (found in processed and refined foods and many animal products) and low in omega-3s, which are found in healthier foods. To naturally increase omega-3s in your diet, eat fatty fish such as cod, halibut, mackerel, herring, trout, sardines, and salmon, as well as walnuts, olive oil, and eggs. If you eat animal products, choose organic milk, grass-fed beef, and organic eggs, which tend to be higher in omega-3s than products from grain-fed animals. There are omega-3 supplements available. Although appropriate doses should be safe for most people, supplements can interact with certain medications and be contraindicated with some medical conditions. Always consult a doctor before taking supplements. If using EFAs to treat depression or severe anxiety, they should be considered a complementary therapy (a treatment that is used in addition therapies recommended by a doctor). For more natural anxiety and panic disorder supplements, see the main Supplements page. For a full list of natural anxiety therapies, visit the main Anxiety and Panic Disorder Remedies page. This article is provided for informational purposes only and is not intended as a substitute for medical or psychiatric advice. Medical concerns should be referred to a qualified doctor. Clancy, K. (2006). Greener Pastures: How Grass-Fed Beef and Milk Contribute to Healthy Eating. Union of Concerned Scientists, USCUSA.org. Dewhurst, R.J.; Fisher, W. J.; Tweed, J.K.S. ; & Wilkins, R.J. (2003). “Comparison of Grass and Legume Silages for Milk Production. Production Responses with Different Levels of Concentrate.” Journal of Dairy Science, 86(8), 2,598-2,611. Karsten, H., PhD. (2003). “Pasture-ized Poultry.”Penn State Online Research, 24(2). RPS.PSU.edu. Kris-Etherton, P.M.; Shaffer Taylor, D.; Yu-Poth, S.; Huth, P.; Moriarty, K.; Fishell, V.; Hargrove, R.L. ; Zhao, G.; & Etherton, T.D. (2000). “Polyunsaturated Fatty Acids in the Food Chain in the United States.” American Journal of Clinical Nutrition, 71(1), pp. 179S-188S. Long, C., & Alterman, T. (2007). “Meet the Real Free-Range Eggs.” Mother Earth News, MotherEarthNews.com. Young, G., & Conquer, J. (2005). “Omega-3 Fatty Acids and Neuropsychiatric Disorders.” Reproduction, Nutrition, Development, 45(1), 1-28. Higdon, J., PhD, & Drake, V.J., PhD. (Reviewed by D.B. Jump, PhD, 2009, April). “Essential Fatty Acids.” Linus Pauling Institute, LPI.OregonState.edu. University of Maryland Medical Center. (2011). “Omega-3 Fatty Acids.” UMM.edu. Ohio State University. (2011, July 12). 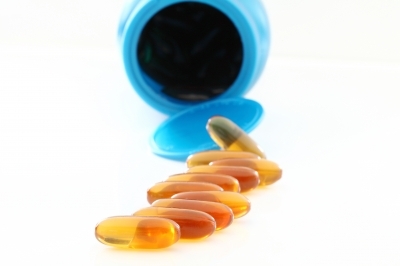 “Omega-3 Reduces Anxiety and Inflammation in Healthy Students.” ResearchNews.OSU.edu. Sears, B., Dr. (2012, January 3). “Anxiety and Omega-3 Fatty Acids.” Psychology Today, PsychologyToday.com.